July 15th 2018 marks 10 years of using ‘Food as medicine’ for Mike Dancer. He’s celebrating by doing a sponsored SKYDIVE for Team Leafie!!! Please donate here. Having his first epileptic seizure aged 34, Mike spent 8 years taking the AEDs he was prescribed. However, as the seizures continued, the side-effects from the drugs was making life unbearable. He was told ‘take the drugs, or die’. But with the help of Professor Dominic D’agostino, Mike took control of his destiny by starting the ketogenic diet. Mike and Dominic were inspirational to us as we researched the ketogenic diet as Leafie’s first step intervention for what turned out to be an drug-resistant form of epilepsy. This is the TEDx talk video I mentioned of Dom’s: https://www.youtube.com/watch?v=3fM9o72ykww. This is the page on Matthew’s Friends I googled straight after watching it: https://www.matthewsfriends.org/about-us/our-stories/adult/mike-dancer/. 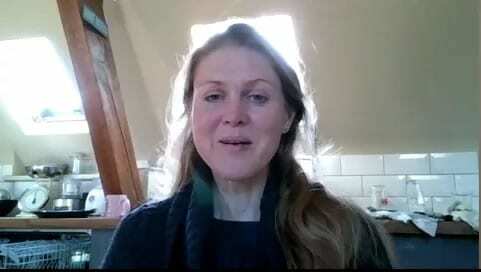 Dr Sarah Ballantyne explains how she resolved her own health issues the Paleo Way.